Downsizing Years of Accumulation & Relocating Mom and Dad is No Easy Task. Anyone can move things. We specialize in relocating people. It's not about the stuff. Everything holds a memory. Our team of highly trained Transition Specialist help your family and loved one with the emotional process of downsizing, packing, relocating and the daunting task of preparing for a proper sale of your belongings. We also have a proven record with appraisals, high output estate sales, as well as complete clean-outs. Our clients have found that there is no reason to do it themselves anymore. We are the only full-service sorting, packing, relocating, shipping, appraisal, estate sale, auction, and clean-out company in Michigan. Which means we can save you stress, save you time, and save you more money than any other estate or relocation company. Never shop by price or availability. We have the honor of helping the most important people in the world. Your spouse, your parent and grandparent. These people deserve the absolute best in quality service and attention. Shop by reputation. FORESTER is second to none in the Emotional Compentencies TM required to effectively assure your loved one settles into their new home. We are extremely busy assisting families all over the Great Lakes Bay Region with this all important move. This is not like other moves you've experienced. No one ever expects this particular move to be so difficult. Don't fool yourself into believing you can take a few things you think one will need and call it good. In most cases, this is this loved ones LAST move. When someone takes the time to appreciate each item, each year and each memory in a home they are one step closer to a successful transition. We have been referred by hundreds of sources because of our ability to transition people in a positive and long term manner. Were not perfect, as each client is different. However, our follow-up is like no other, and our determination to make clients happy is our personal passion. Most of our clients have become life-long friends. Our clients consist of independent older adults, and couples who have lived in the same home for more than 20+ years and can't agree on what to take or sell. We assist folks who are just a little bit overwhelmed and need to settle into a smaller home. Our appraisal and estate clients consists of attorneys, trust banks, social workers, CPAs, insurance agents and real estate agents. Most of all, we help grown children who live both near and far who don't have the time or in some cases the patience to sort through years of accumulation and they need someone local they can trust. - Need help packing and not sure what to take. - Packed full homes and not sure where to begin. - Not sure what things are worth. - Not sure what will fit in new home. - Not sure what to keep, give away, sell or donate. - Needing to move before house is sold. 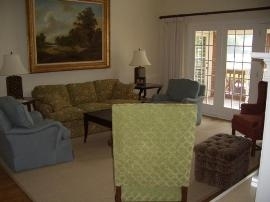 - Moving quickly after house has sold. - Emergency moves to nursing home. - Family conflicts and tension. - Family living out of state. - Settling estates in probate. Call for your free consultation. Make yourself aware all of your options. Some time ago we got a call from a couple who just moved into their new apartment from out of state. The husband told us that they were in their eighties and his wife was very weak and ill. He explained he could not find any underwear or kitchen utinsels. He explained that the transport company was very nice, however, they dropped everything in the apartment and left. Earlier that week, the large transport company came in and packed everything they had in their old home in two days. They packed literally everything as he was not sure how much would fit into his new apartment. When he opened a box of food from their pantry, an opened bottle of Hersheys syrup had leaked everywhere. They asked where he wanted things, however, he really wasn't sure. 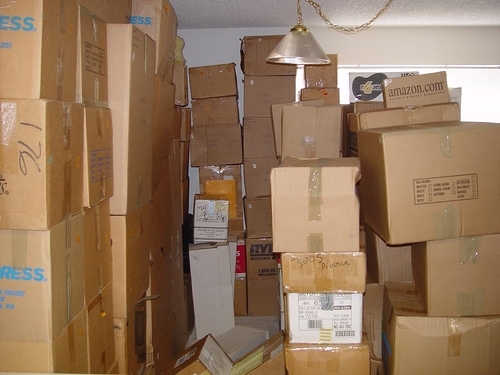 When he told me the boxes were to the ceiling, I thought he was exaggerating. Transport companies are excellent at getting your items from here to there quickly and efficiently. They're not built to sit with clients for several weeks planning, sorting, measuring, and deciding what will be transported to their new home, shipped to grown children, sold or donated. The most common statement we hear at least once a week is, "I wish I had know about you when we moved..."
We were able to help that couple put away all their things, set-up their entire kitchen, hang their pictures, make their beds, hook up their TV/VCR and find his remote control. We made it HOME again. FORESTER has assisted hundreds of people with the stress and details of moving, dealing with the home that was left behind and making sure loved ones are settled-in. Our Founder, Andrew J. Forester, recalls when he was just starting out. He remembers a client who had lived in her home for over 35 years. Each day, she would really give him a hard time about his transition process. She would say, "Why, what's the big deal? I've moved seven times and I could get my whole house packed up in three days." Although she thought she knew better, she eventually worked with him through the 4-Step Transition Process. Later, as they were sitting in her newly established apartment recapping the whole experience, she stated, "Andrew, I've moved seven times, yet I never anticipated how emotional this particualar move was going to be on me. There were so many things I didn't think of. I couldn't have done it without you." Please understand, relocating is a stressful as it gets, especially for older adults. If you will allow us, we can help you make your transition as pain-free and efficient as possible.